Ebra Moxsir M. al-Haj, head of the Imam Council of the Philippines and chaplain of the Philippine National Police, speaks on Know The Truth programme, praising Francis' efforts in favour of the good and peace in the world against all forms of extremism, which must be backed all the way. He calls on Muslims to welcome the pontiff and understand his words. Manila (AsiaNews) - A high-ranking Filipino Muslim leader urged all people of faith, regardless of specific religious affiliations, to go all out in their support for Pope Francis. 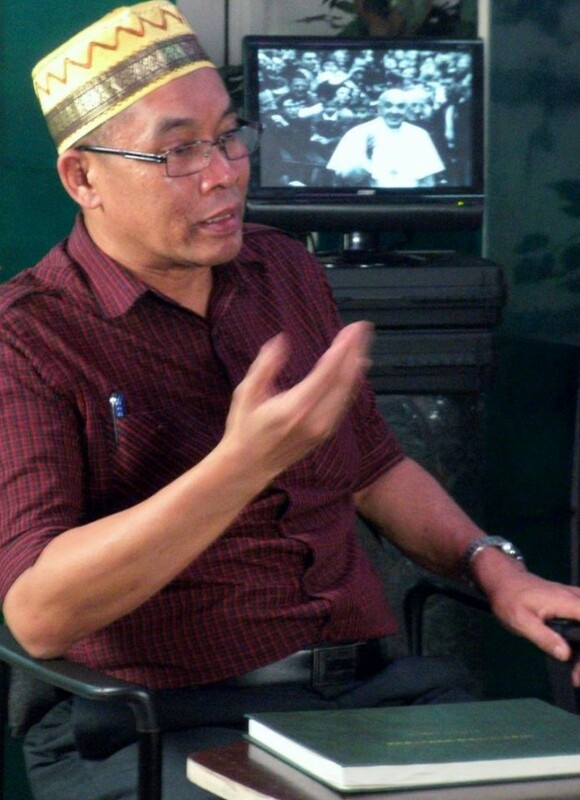 In an interview on the Know The Truth programme, which will be aired in early January, Imam Ebra M Moxsir Al-Haj, an Islamic scholar and a chaplain of the Philippine National Police (PNP), specifically called on his "Muslim brothers and sisters to join the Holy Father in his efforts" against the use of violence. Moxsir urged his fellow Filipino Muslims to welcome the pontiff and back his call for interfaith cooperation based on honesty and goodwill as the way to achieve real peace. He also said he shares the pontiff's stance against extremism, which will stop at nothing. Only peace between religions can stop it. "Good Muslims and Christians all want peace," he explained. "Education has an important role to play to make it happen . . . We must see to it that our brothers and sisters are properly educated in their faith so that they will not be swayed by those extremists". Francis will travel to Asia between 12 and 19 January 2015. The first stop will be in Sri Lanka, where he will remain until 15; the second stop will be in the Philippines. The schedule of the Filipino portion of the papal visit includes spending a day with survivors of typhoon Yolanda, a meeting with the country's religious leaders and a Sunday Mass in Manila, which is expected to draw five million people.